As we spoke about last time, God used the suggestion of starting a blessings journal to help me move in the direction from Eyeore taking up residence in my spirit to the return of Tigger-like qualities. It didn’t happen overnight, though. It was a years’ long process that I’m still embarking on because like many other things in life that are worth pursuing, it involves a daily choice. Not when I wanted to be thankful. Not only when things were going right. But to give thanks in ALL circumstances. That one was difficult for me. In fact, I’d be lying if I didn’t share that this past summer, even though I thought I had mastered this layer of the onion, I went through a period where I struggled with thankfulness in ALL circumstances yet again. 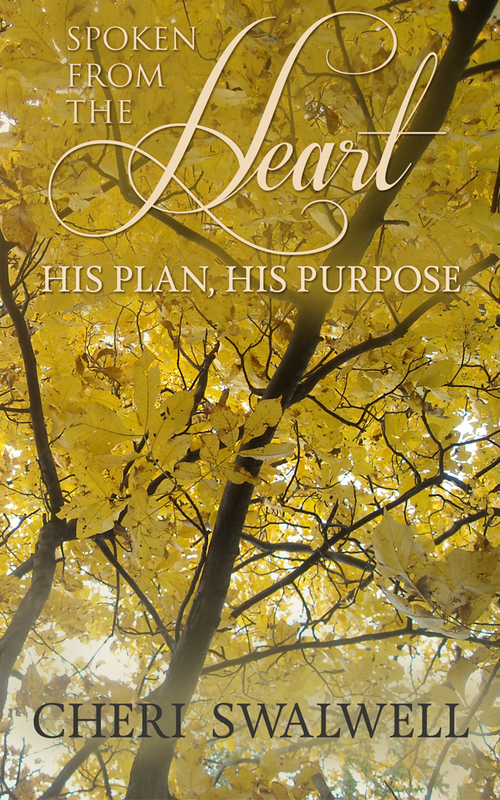 I share in Spoken from the Heart: His Plan, His Purpose the struggle I had as I embraced His timetable and His plan for my life instead of wanting things to go according to my plan, learning to be thankful for the process instead of impatient during the journey. Throughout the ups and downs, my prayer has remained consistent and I’ve continued to pray for release. And yet here I sit. Day after day after day – thinking tomorrow, next week, next month I’ll be released and finally find freedom in this one area … and yet, day after day, week after week, month after month the situation doesn’t look as though it has changed. This is exactly the type of situation in which God commands us to choose a thankful heart. Thankful for His blessings that shine brighter in dark situations than when things are going well. Thankful for how we can show a different, cheerful attitude during times of trouble than a complaining attitude like others who don’t know His love. Thankful that we can trust He is working behind the scenes even when we can’t see changes in the less-than-ideal situation we find ourselves in. How about you, friend? Do you find it difficult to have a thankful heart in less-than-ideal circumstances? What is one thing you can say “thank You” to God for when everything around you screams there is nothing good happening? Please reply and share with me. Sometimes, for me, the only thing I can be thankful for is I’m God’s child and He’s promised to be with me through every difficult situation, every single one. I used to be described as a happy person. I looked at the proverbial glass as half full most all the time. Even when bad things happened, I was able to see the blessings in the lessons learned and after the storm passed, give thanks daily for how He brought me out of my own stupidity. Slowly, ever so slowly, I stopped looking for the lessons to learn in my circumstances. I was in survival mode and some days it was all I could do to crash into bed at night, dreading having to get up in less than eight hours and repeat the cycle all over again. I lost my optimistic attitude that life would get better. The proverbial cup, although holding the same amount of liquid, became half empty. My personality slowly changed from Tigger’s optimism to Eyeore’s negativity. I stopped looking for blessings … and for a period of time … I even stopped believing blessings were meant for me. Have you ever struggled with those feelings? Felt as though every direction you turn, before you can catch your breath from the last blow, you’re being pummeled over and over and over again? In John 10:10 (NIV), God talks about how He sent Jesus so that His children “may have life, and have it to the full,” and that cannot be accomplished when we focus on the negative. The best way to overcome focusing on the negative is to live a life of thankfulness. The way to start living a thankful life is to look up from the circumstances we’re facing and ask God to open our eyes to the blessings God gives despite the circumstances. 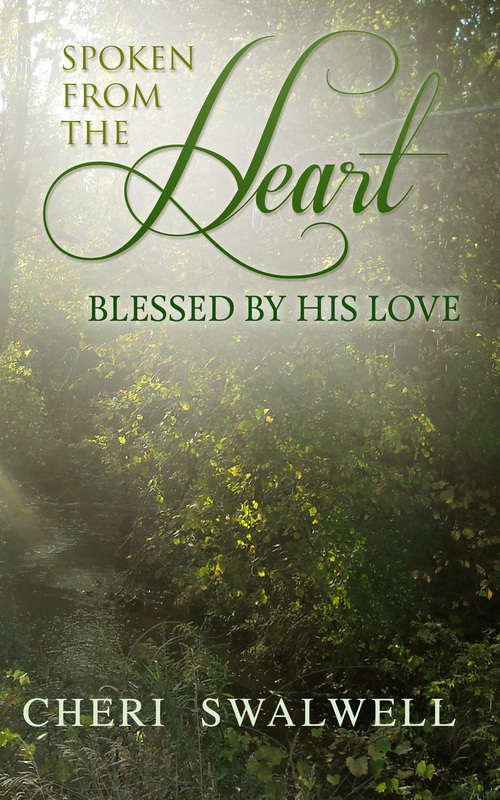 In 2014, about seven years into the circumstances that hit hard and fast, I wrote Spoken from the Heart, Blessed by His Love. It was during that time period in my life when God encouraged me to begin a blessings journal. I would invite you to read for yourself in a simple 32-day devotional how the practice of such a simple little habit began to reverse the pessimism that had taken over my personality and after a while joy started to return. It didn’t happen overnight, but slowly, ever so slowly, I went from writing down simple blessings like getting a free cup of coffee to “today is over and I can start fresh tomorrow” to much bigger blessings which included seeing God’s hand in our family’s circumstances and feeling the spark of hope when for months it had disappeared. What about you, my friend? Have you been stuck in less-than-ideal circumstances for too long? While it seems counterproductive, trust me when I say the first step to overcoming the negativism that comes with difficulties is to look up and start listing the blessings in your life. What is one blessing you can begin with right now? Please share with me by hitting reply. I’d love to get to know you better and pray for you during this season. Trust is huge for me. I had a conversation with God way back in 2006 about trust … whether or not I trusted Him … and whether or not I wanted to pursue a journey of learning how to trust Him. Learning to trust God has been an adventure. Such an adventure I could write a book about it. In fact, I ended up writing FOUR books about it … and since the adventure isn’t finished yet, I’m sure more books are coming on this subject. Each one of the books above shares how God heard my prayer years earlier and lovingly answered it, slowly peeling back layer after layer of the onion of my life and revealing the beauty He planted inside me at birth. From my experience, trust is the foundation of the Christian life. If I can’t trust God, I will always be afraid when He calls me to step out in faith for Him. If I can’t trust God, I won’t have the peace He promises to His children. If I can’t trust God, I won’t see the blessings in my life which come directly from Him. If I can’t trust God, I won’t live a thankful life, have the ability to keep calm, learn to be joyful, or be able to love with His love others around me. If I can’t trust God, I won’t be living the full and abundant life He promises to those who love Him. What about you my friend? Do you have an issue with trust as I used to? Are you halfway through the peeling process and you trust God with most things but not everything yet? Or have you never had a problem with trusting God – it’s as natural to you as taking your next breath? Please reply in the comments and share with me your experiences. I would love to be encouraged by the way God is working in your life. 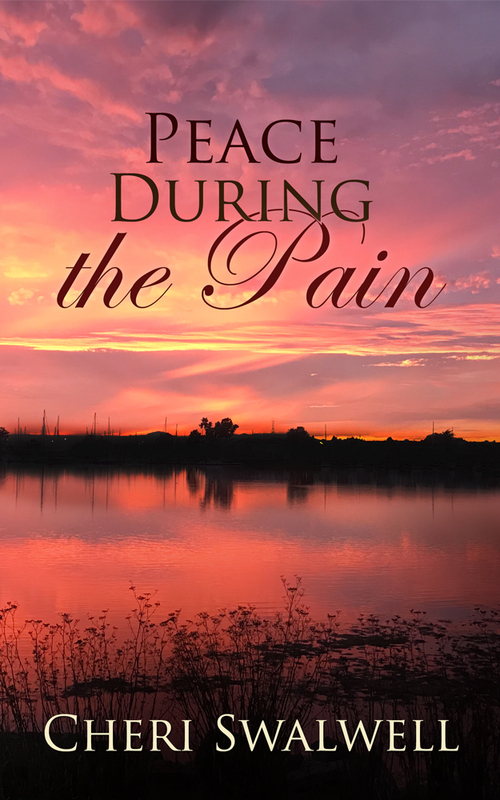 I have an exciting announcement this morning: Peace During the Pain, four years in the making, is now available in paperback and eBook on Amazon! Either version makes a perfect gift for those who need encouragement. Thanksgiving weekend is a great time to start shopping for those you love. Cancer. It is a word no one wants to hear when sitting in a doctor’s office or from a loved one during a phone conversation. It is a word so prevalent in our society today. I don’t think there is anyone who has not been personally touched by this word, this disease, this diagnosis.This book is not a “how-to” guide regarding cancer. You won’t find resources for the best doctors, the latest research, diet/nutrition, or even statistics about outcomes regarding the specific type of cancer that has entered your world.Instead, this book offers the comfort of 11 different men and women who have been personally touched by this diagnosis and have found peace despite the pain.This book is not written solely from the standpoint of people who have experienced cancer personally – there are many chapters written by wives, daughters-in-law, and children, sharing how their loved ones fought valiantly and how close and personal God was during the journey.Join me between these pages as you read firsthand, from the individuals or their loved ones, how God showed up in every situation. He took what the enemy meant for evil (pain) and replaced it with His perfect peace. I have a special invitation for all of you, my Spoken from the Heart READER’S CLUB. If you would like to read the book and would be willing to leave an honest review on Amazon and/or Goodreads, simply email me back and I will send you a link to download the book for FREE. My prayer is that this book will encourage those who are either going through the pain of cancer or family and friends who are walking alongside their loved one who is going through the pain. Eleven different people share their hearts and their lives, showing how God was right there the whole time, offering peace in exchange for their pain. If you want to read it for FREE and are willing to write an honest review, email me and I will send you the link. If you have hung around me for any amount of time, you’ve heard me talk about how God has had our family on quite the adventure for the past five years now; however, looking back, we can see God started the process much, much earlier. 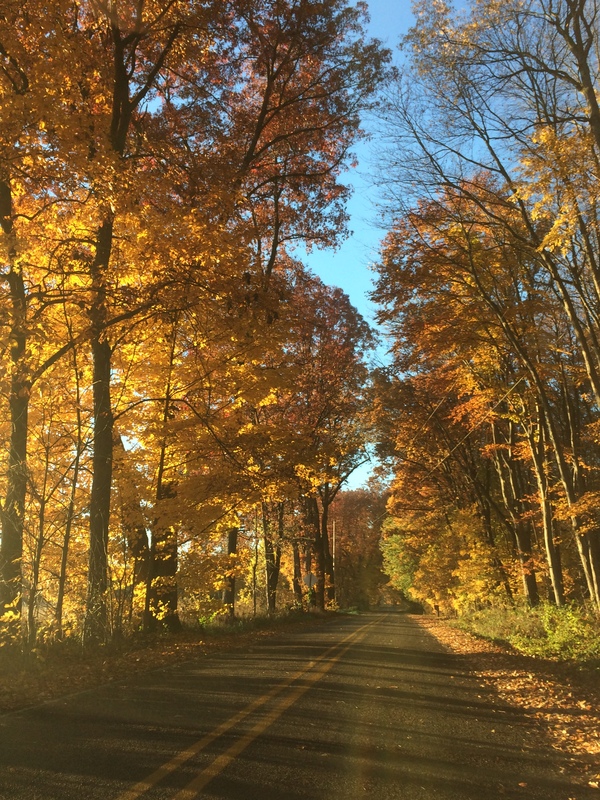 While there have been several catalysts throughout the years (miscarriage, chronic illness, financial issues, job loss), the adventure really hasn’t been about those details. 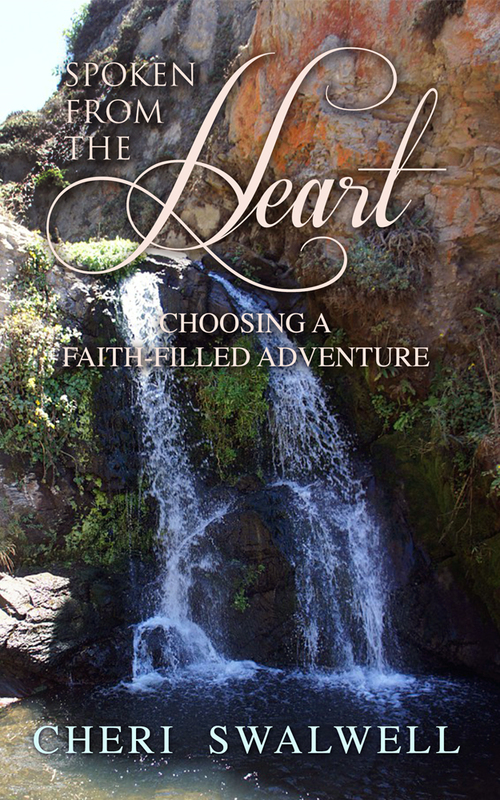 The adventure has been about two main themes: learning to trust God and learning the lessons along the way instead of focusing on the finish line, which actually, would more accurately be described as the starting point. God used the above events in our life to get me a crucial question: Did I trust God? He also gave me several invitations throughout the years to loosen my hands from the things I had trusted (which didn’t deserve my trust) and instead tighten my hold on Him whom I can implicitly trust completely. My family? I trust God. My life? I trust God. My future? I trust God. My finances? I trust God. Safety? Protection? Relationships? Ministry? Service? I trust God. Through the process of learning to trust God, He has given us many amazing adventures (blessings). Paying bills with money that came in at the last minute, some amazing vacations paid for by loving family members, blessing others with no strings attached only to be blessed in the future by God Himself to a higher degree than we gave. One major lesson I’ve learned from this experience is one can never out give God. Ever. It’s all about the journey and learning the lessons along the way, not the “finish line,” which is really the starting point. For so long I was focused on the prize at the end, the destination, the “Promised Land,” where I foolishly thought I would sit and sip iced coffee and rest after the long journey it took to get there. When I was finally able to get my focus where it needed to be, you’ll be amazed at what God showed me. I learned to trust …. During the next few weeks I’ll share how God taught me to let go in each area … and maybe you will be encouraged to begin letting go of some things in your life too. Why would God open a door from three years ago only to close it so quickly? That was the question one would think I was wondering. However, that’s not what was going through my head. Instead, I was even more excited and choosing to praise God even louder. God used the conversation to encourage me. If God can resurrect a conversation from three years ago, He can turn the closed doors I was experiencing that week into the open doors He wants me to experience. It was a reminder to me to be still and watch … and wait. God had been telling me that all year. Psalm 46:10 (NIV) has been my verse this year “Be still and know that I am God. I will be exalted among the nations. I will be exalted among the earth.” When God gives me the open door to step through, He will be the One who gets the glory and praise because it will be nothing I’ve done but everything He’s done. God’s working to custom design His dream for me. Even though the conversation became a closed door, I was encouraged that when God does open the door, it will be specially crafted around my gifts and talents and desires God uniquely created within me and has been taking the past three years to grow in me. It’s less about the blessing and more about the growth along the path. Sometimes it’s not about open versus closed doors – but instead about refining fires and doors of opposition. This was one of the topics spoken about during the women’s retreat and the main takeaway was “never ever give up.” Endure, because at the other side of the door of opposition is God’s dream for your life … a bigger blessing than one can even imagine. I’m willing to wait for God’s dream even if that means I have to endure a little bit longer and never ever give up. God gave me a choice – I could have my answer “now” but possibly have to compromise my faith or I could wait for God’s best for my life … to me it was a no-brainer. I want to wait for God’s best for my life even if that means waiting awhile longer. I hung up the phone that Thursday afternoon excited, knowing that if God took the time to encourage me in such a dramatic way, He has great plans for my future and the three years I’ve been waiting for an answer haven’t been wasted. He has been teaching me the lessons I need to know for when He reveals His dream for my life. And I have confidence I will be stepping into it prepared instead of floundering. I’m excited to see the details of my answered prayer when God chooses to reveal them. Until then, I’m going to continue to choose peace and joy while faithfully obeying and learning the lessons God presents. What about you? How do you react to closed doors? Are they a disappointment or a source of encouragement? Instead of allowing myself to sink into depression or getting angry, I chose to believe God had something better, that His dream for me was far greater than what I had been hoping for, and He needed me to get out of the way before He could give it to me. Two days later I was in the car with our daughter and my phone rang. I get telemarketing calls all the time (as I’m sure you probably do, too), and so I dismissed it as it was from out of state and I didn’t recognize the number. Two minutes later up popped a voicemail. I don’t know about you, but telemarketers rarely leave me a message. I played it back and it was someone I had reached out to three years prior! I didn’t even remember who this person was, it was so long ago. My first thought was … is this God’s answer to my prayer for the past three years? Wow – when God answers, He does it in amazing ways. I was excited and couldn’t wait to call this person back, but needed to because I was in the process of picking up our youngest from school and thought it would be better to get somewhere quiet so I could concentrate. I was left wondering … Why would God open a door from three years ago only to close it so quickly?